Want to grow your coral faster? Check the pH inside your tank! If your pH is too low, this is effecting your coral growth. CO2 levels in your home can be one of the main contributors to low pH inside your saltwater or reef tank. Low pH inside your tank will dramatically slow down any growth and nutrient uptake from the corals. Keeping your pH levels at 8.3 is the best way to promote natural coral growth. Depending on how many people and pets are inside the home, the CO2 load can be greater than desirable. Some customers can open windows in their home to help, however if you live in a hot and humid are (like we do) opening your windows simply inst that enticing. The Fix is as easy as installing a new CO2 removal system onto your setup. 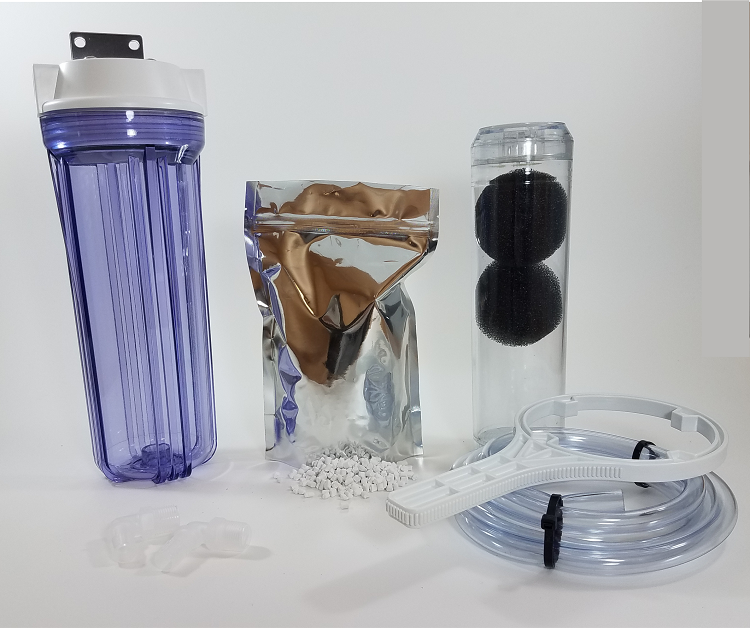 Simply install this kit on your protein skimmers air intake from the silencer. Depending on the CO2 load in the room, this kit can have dramatic effects. Make sure to keep an eye on your Calcium and Magnesium levels, as increased consumption of the calcium and magnesium can be expected when raising the pH.